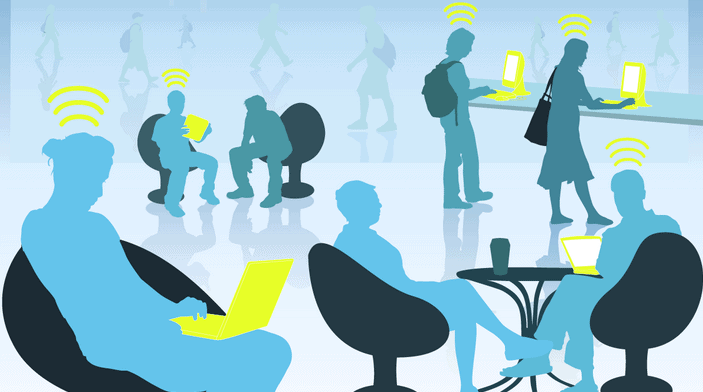 According to a recent report released by The Economic Times, the Indian government is going to take another initiative aimed at providing free Wi-Fi connectivity at select public places in top 25 cities of the country. The initiative that will introduce Wi-Fi connectivity to cities with a population of over 10 lakh before June 2015 is actually a part of the Digital India program of the government that aims to provide Wi-Fi access to all cities with a population of over 1 million by December 2015. However, to ensure a speedy roll-out of the plan by June next year, the government will be empanelling three to four Wi-Fi service providers in order to acquire flexibility required for it. Moreover, the project is jointly being worked by the Department of Telecom and Ministry of Urban Development. “Government has plans to empanel 3-4 Wi-Fi service providers for speedy roll out of Wi-Fi hotspots across top 25 cities in the country by June 2015. The services will be available at select public places within these cities,” an official is quoted as saying. The report also revealed that the central government is also planning free public Wi-Fi in 25 archaeological monuments including Humayun’s Tomb, Red Fort, Qutub Complex in Delhi, Shore Temple in Mahabalipuram, Taj Mahal, Fatehpur Sikri Sravasti and Sarnath in Uttar Pradesh, Martand Temple and Leh Palace in J&K, Vaishali-Kohua in Bihar, Rani-ki Vav Gujarat, Konark Temple in Odisha, Rang Ghar in Assam and Khajuraho and Mandu in Madhya Pradesh. “The idea is that people even foreign tourists should stay connected. Besides, WiFi spots will also lower traffic burden on telecom networks,” the source said.